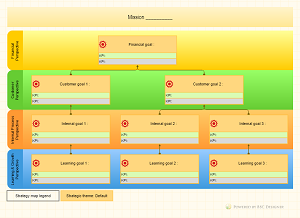 Review: This is another example of tabular strategy map. 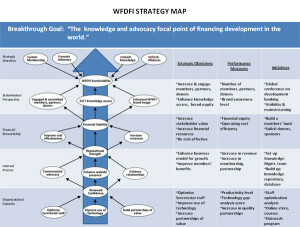 This strategy map is not based on base 4 balance scorecards as it can be seen that it contains additional organizational perspective. Strategy map is highly professional and detailed. The objective of the organization is to improve the financial capacity of the organization which has been clearly mentioned and all the objectives categorized into corresponding objectives co-operate together to achieve this main goal. Opportunities: A very good model for financial organization striving to achieve financial goals. 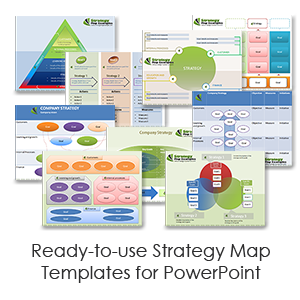 The comprehensive details of the objective results in a more structured and organized management strategy. 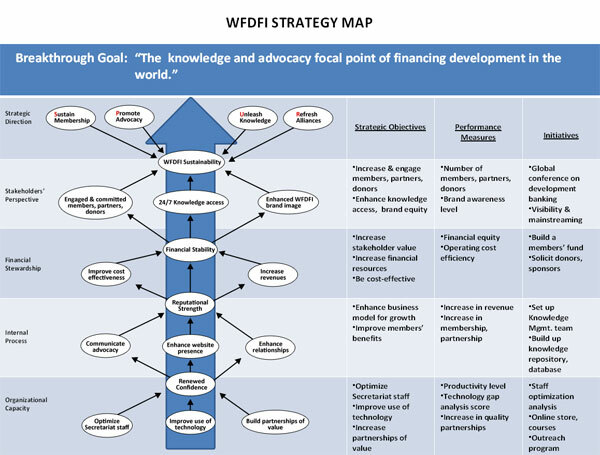 Managers with organized management approach are likely to take advantage of this map in order to achieve financial objectives. 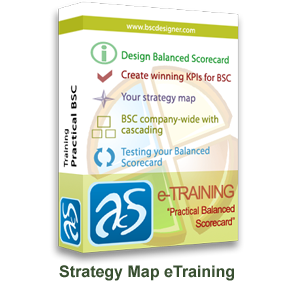 Result: Like other tabular maps, this map is also very good and comprehensive with a well-planned structure. Large organization can adopt it to achieve their objectives. Overall it is an excellent strategy map.